Is your Android phone stolen? Or something negatively has happened to your phone then the below apps are some ways in which you can track down your phone in order to destroy your phone. When you are using these apps, it will greatly help you to track down your Android Smartphone. This app does not only help you to track down your Smartphone but it also helps you to scan your phone for a safety use of it. It is every mobile device owners worst fear: Losing their beloved device. What do you do first? Where do you turn? What exactly is an IMEI number and why do I need it? Sadly I can now offer you some first hand experience. These apps can be downloaded using the links that is attached to each app. This is a good app for you to track down your device, SeekDriod currently cost about $4.99, I currently used this SeekDroid to find my iOS phone and I did find it. This SeekDriod helps one to remotely control your GPS and also helps you wipe both your internal storage and memory card (SDcards) remotely and prevent thieves from uninstalling your applications. This app has so many feature but using the below links, you view I and also download this SeekDriod app by CLICKING HERE. This is another great app which can be used to track down your Android phone, why I love this app is that, it automatically track your android phone and send you the location even its just pre-installed on your phone. So you need to download Lookout Plan B app by using this LINK. Another app is find my phone, this app is a free application for tracking down your device but it is also good for tracking your kids. This app can be used to track down your phone by using your friends phone to track it down but it can be done by whenever, your name is in that person list as in contact list. You can download this Find My Phone using this LINK. 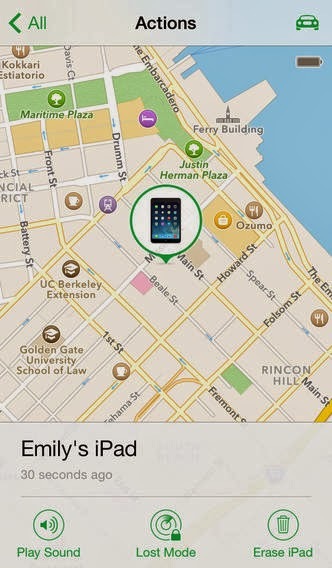 Many people knows about Norton anti-theft, so it is the world’s known anti-theft app to track down your device. It is done by you uploading photos to Norton website that can help you track your phone. This Norton Anti-Theft app can be downloaded using this LINK. So with this, you can be able to track your phone down. If you have any comment then you can make use of the below comment box, thank you.